Mobile communications technology affects our lives from both a social and economic perspective. 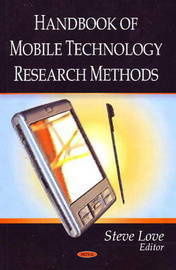 This book brings together different research approaches that investigate how people use mobile technology and how mobile technology itself can influence the behaviour of humans. This book will be of interest to academic researchers involved in conducting research in the area of mobile human-computer interaction. In addition, it will also be of interest to people working in the mobile technology R&D sector and those involved in the organisational use of mobile ICTs.